The FCH Furnace features horizontal recirculating airflow to ensure exceptional temperature uniformity throughout the furnace. 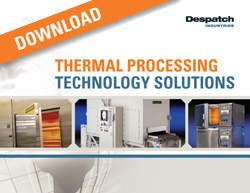 This high-performance furnace delivers temperatures up to 1350℉ (732℃). Special Despatch long-life nichrome heaters, heavy-duty high-temperature fans and rugged construction throughout assure years of trouble-free performance. The FCH is built with a heavy steel exterior, type 304 stainless steel interior and has seven inches of insulation between the inner and outer walls. A tight sealing door is mounted on heavy cast strap hinges and has a no-slam type latch that assures a positive seal. 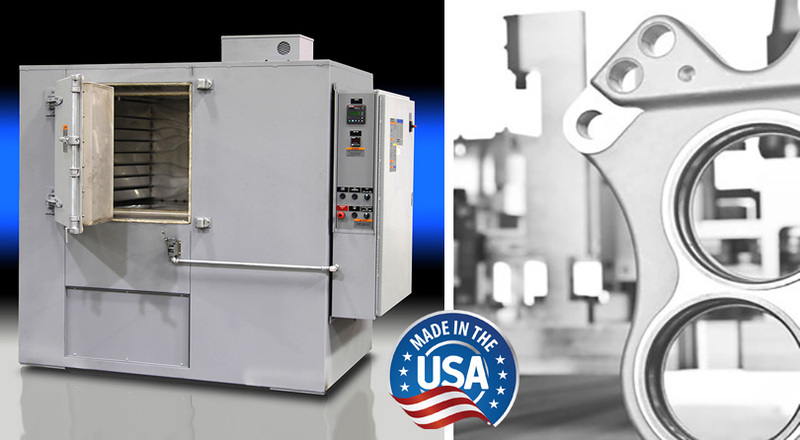 The FCH cabinet furnace is great for such processes as aging, brass annealing, low temperature porcelain enameling, steel tempering, wire annealing and stress relieving and other heat treating applications. It is ideal for production of small lot sizes or smaller parts. Advanced control. Protocol 3™ is a microprocessor-based temperature and hi-limit controller with large LCD display and real time clock for auto start capability. The LCD display shows temperature readings along with clear, detailed information on oven status. Protocol 3™ features three operating modes for quick and easy operation: Manual mode, Timer mode and Profile mode. The data-logging functionality enables reporting and analyzing and data files can be exported via the controller’s USB port. Modbus RS485 communications are included for easy data access. A Class A version is available which is specifically designed to meet NFPA 86 requirements for applications that include flammable solvents or large amounts of moisture removal. This Class A furnace is complete with a pressure relief panel, purge timer, and exhaust fan.